1944 – Ion Antonescu, Romania’s leader and one of Hitler’s most important allies, is overthrown, prompting Romania to switch its allegiance to the Allies. 1945 – Land reform legislation results in the confiscation and redistribution of large amounts of private property, thus paving the way for Romania’s transformation into a Communist state. 1947-48 – Romania officially becomes a single-party Communist state led by Gheorghe Gheorghiu-Dej. 1965 – Gheorghe Gheorghiu-Dej dies. Nicolae Ceausescu, a somewhat obscure political official, maneuvers his way into power. 1968 – Romania becomes the only member of the Warsaw Pact to protest the USSR’s invasion of Czechoslovakia. This makes Ceausescu seem like a maverick to Western leaders and changes the international perception of Romania. 1975 – The United States grants most favored nation status to Romania, cementing the country’s unique position as a bridge between the West and Eastern Europe. 1978 – Ion Mihai Pacepa, a high-ranking official in Romania’s secret police (Securitate), defects to the United States. He is the highest-ranking official from Eastern Europe to defect during the Cold War. 1982 – Ceausescu enacts a radical policy to pay off the entirety of Romania’s debt by the end of the decade. Although he succeeds, the policy is an economic disaster that leads to food rationing and a litany of other horrors. December 1989 – In a stunningly quick ten days, a small protest in Timisoara morphs into a revolution that ends on Christmas with the execution of Nicolae Ceausescu and his wife Elena. 1990 – In the chaotic aftermath of the revolution, Romania struggles to restore order. Led by Ion Iliescu, the National Salvation Front, a group comprised of many prominent members of the now defunct Communist Party, forms a provisional government. Many Romanians are upset that the National Salvation Front would both organize the upcoming elections and participate in them. When the National Salvation Front wins the election in a landslide, more popular unrest ensues. 1992 – Although Ion Iliescu is reelected, opposition parties are much better organized for this election and mount a clear alternative to the policies of the National Democratic Salvation Front (formerly the National Salvation Front). Thus, Romania finally seems poised to transition into a more stable and sophisticated democratic system. The Communist Era was marked by nationalist sentiment and a strict adherence to the philosophies of Marx and Lenin. One of the most orthodox countries in Eastern Europe, Romania permitted little deviation from the standard Marxist positions. At the same time, it distinguished itself by speaking out against the Soviet Union’s invasion of Czechoslovakia in 1968. This bold move allowed Romania to have a relationship with both the West and the East. 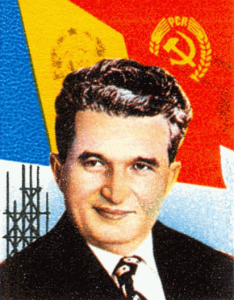 The most famous Romanian leader during the Communist era was Nicolae Ceausescu. Uneducated and from a peasant background, Ceausescu ruled Romania from 1965-89. Ceausescu established a cult of personality in which he functioned as the savior of Romania; however, he lacked the intelligence to successfully manage the country’s affairs. He and his wife were overthrown and executed in a controversial revolution in 1989, the bloodiest end to any of the Eastern European Communist regimes. Even today, Romania’s Revolution of 1989 inspires much disagreement. Some consider it a popular uprising while others consider it a carefully staged coup in which some party officials were able to use popular unrest to supplant Ceausescu. Following Ceausescu’s overthrow, many members of the Communist Party remained in power, although they rebranded themselves the National Salvation Front and enacted a series of measures that steered Romania toward capitalism. Led by Ion Iliescu, this party, whose name later changed to the Social Democratic Party, was the dominant political force in Romania in the decade following the fall of Communism. Nicolae Ceausescu (1918-89) – Ceausescu ruled Romania from 1965 until his execution in 1989. An uneducated peasant, Ceausescu often lacked the intellect to do his job effectively; however, for much of his time in power, Ceausescu was the most well liked Communist ruler in the West. Ceausescu carefully crafted a foreign policy, the cornerstone of which was his protest against the Soviet invasion of Czechoslovakia, that made him seem like a maverick to the West even as he retained the support of the USSR. This seemingly moderate foreign policy masked human rights abuses, gross ineptitude, and a nauseating cult of personality domestically. Of all the Communist leaders in the second half of the 20th century, Ceausescu was the one who most closely resembled a king (Additionally, his wife Elena, much more visible than the spouses of other Communist heads of state, ostensibly served as Romania’s queen.). Ceausescu’s regime fell apart in the 1980s when he adopted a series of ill-conceived policies, including the demolition of large portions of Bucharest. All of the animosity toward Ceausescu came to a head in December 1989 when he was overthrown in a swift and confusing coup. On Christmas Day both he and Elena were convicted of an assortment of crimes in a trial that lasted an hour and a half. After the trial, the couple was executed by firing squad. Ion Iliescu (b. 1930) – Iliescu is the most important figure in Romanian politics since the fall of Communism. 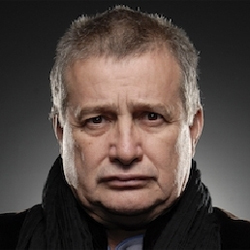 In many ways he is the architect of present-day Romania. Although he was once seen as Ceausescu’s heir apparent in the Communist Party, Iliescu was able to escape his past affiliation with the Communist Party and brand himself as a reformer capable of leading Romania into the 21st century. Iliescu led Romania from 1990 to 1996 and again from 2000 to 2004. Under Iliescu, Romania slowly enacted a series of reforms that brought capitalism to the country and helped it begin the process of joining NATO and the European Union; however, Iliescu’s tenure in office was not without controversy. Iliescu was seen by many as having used the 1989 revolution for his own political gain. He and the new government were also associated with a slew of shady deals that gave certain individuals an unfair advantage in the new economy. Ana Blandiana (b. 1942) – (Pictured at left, cinemagia) Blandiana is one of Romania’s most respected and important literary figures. Although primarily a poet, Blandiana has also written important essays and prose. During the 1980s Blandiana’s poetry, which became increasingly political, made her a target of the Ceausescu regime. She frequently encountered censorship, especially after authoring a children’s poem about a cat that behaves like Ceausescu. 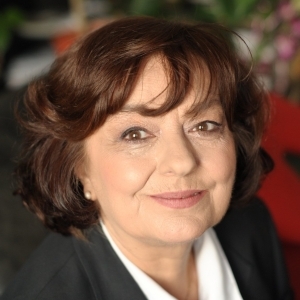 Following the fall of Ceausescu, Blandiana briefly served in the new government although she stepped down when the similarities between the “new” government and Ceausescu’s government became too hard to ignore. Mircea Dinescu (b. 1950) – (Pictured at left, RBN Press) Dinescu is as much a celebrity as he is a poet. Often writing in a satirical tone, Dinescu joined the protest movement late; however, he became one of the faces of the revolution. On December 22, 1989 protesters occupied a state television studio, and Dinescu delivered a televised message to the Romanian people. Hungarians are the largest minority group in Romania. Most Hungarians live in the northwestern portion of the country in territory that belonged to Hungary before its defeat in World War I. Periodically tensions between Romanians and ethnic Hungarians residing in Romania arise; however, Hungarians in Romania have achieved a certain amount of political representation in the post-Communist era, and the conflict between the two groups has seldom become violent. Romania also has a sizeable Roma community. As in other countries, the Roma continue to struggle with integration into Romanian society. 1986– Alma-Ata Kazakhstan is rocked by riots following the removal of an ethnic Kazakh as chair of the national Communist Party. 1987– Boris Yeltsin makes history by resigning from the Politburo. 1987– Independence protests in Latvia begin. 1988– Estonia begins movements towards independence. Azerbaijan and Armenia erupt into violence. Georgia begins independence demonstrations. 1989– Central legislature reorganized into “Congress of People’s Deputies.” Two million people form a human chain across all three Baltic states (Estonia, Latvia, & Lithuania). Violence breaks out in Uzbekistan. 1990– Lithuania declares full independence followed by Moldova, Estonia, Latvia, Armenia, and Georgia. Yeltsin reemerges as leader of the Russian Soviet Republic. Thousands of Azerbaijani storm the border with Iran. 1991– Yeltsin defies a coup attempt by Soviet Communist Party Officials. Gobachev resigns, Supreme Soviet effectively ends Soviet rule. Russia effectively withdraws from the USSR. 1992– By July, the last of the constituent Republics of the USSR would be admitted to the United Nations. The Russian Federation would be marked as the legal successor to the USSR. Mikhael Gorbachev – The only party chairman to be born after the October Revolution, Gorbachev is primarily known for his policies of glasnost (openness) and perestroika (restructuring). These liberalising reforms, along with failed attempts to restart the Soviet economy led to a reduction in the power and prestige of the central Soviet authorities. He is a recipient of the Nobel Peace Prize, as well as a Grammy and numerous other honors. Boris Yeltsin – Originally a supported of Gorbachev, he became an outspoken opponent under perestroika. After his resignation from the USSR Politburo, he emerged as the leader of the Russian Federative Soviet Republic, serving in the new office of President. He would also be the first president of an independent Russian Federation. His leadership of the newly democratized Russia, including economic reforms, would be marked by inefficiency and corruption. A constitutional crisis in 1993 led to the Army shelling the Russian White House. Gennady Zyuganov – Zyuganov is the current leader of the Communist Party of the Russian Federation. Following the breakup to the Soviet Union, Zyuganov became a major critic of Yeltsin and called for a return to Socialism. He has held numerous offices, including membership in the Council of Europe. In 1996 he managed 40% of the vote for prsident, but was defeated by Boris Yeltsin. The sheer scope of the dissolution of the USSR makes categorization difficult. Protest movements in the various constituent Republics often had artistic accompaniment, but ethnic dissatisfaction (in the Caucasus and Central Asia) and historical ties (in the Baltics) were the primary driving forces. Though not as marked as the breakup of Yugoslavia, the dissolution of the Soviet Union did mark some ethnic conflict. Conflict between Armenia and Azerbaijan, as well as questionable status for a large number of Russians who had settled outside of Russia are a standing question. The breakup of the Soviet Union led to the creation of 15 new Republics spanning 2 continents. The variety of experience is wide. Though the Baltic Republics enjoy a high quality of life and strong democratic institutions, some of the Central Asian Republics have largely authoritarian rule marked by rampant corruption. Currently, Russia’s conflict with former Republic Ukraine has been at the forefront of world news with Russia annexing the Crimean peninsula. 1945– After resistance to German and Italian occupation, Yugoslavia is formed as a socialist federation of six republics (Slovenia, Croatia, Serbia, Montenegro, Bosnia-Hercegovina, & Macedonia). Josip Broz Tito becomes president. 1971 – Protestors demand greater autonomy for Croatia in and event called the “Croatian Spring.” Yugoslav authorities denounce nationalist movement, arrest activists and purge the Croatian Communist Party. 1974– Yugoslav constitution is amended to devolve greater authority to constituent Republics. 1980 – Tito dies. The powers outlined in the 1974 constitution devolve to the Republics. 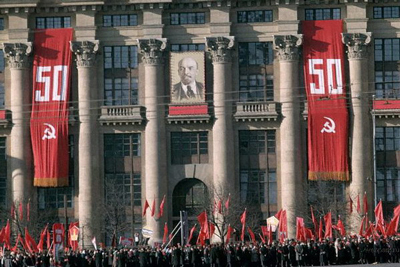 1989 – Collapse of communism in eastern Europe leads to rise in support for parties with a nationalist message. 1990 – First free elections in Croatia. The communists lose power to a nationalist party led by Franjo Tudjman. 1991 – Slovenia, along with Croatia, declares its independence. The Yugoslav federal army intervenes. Slovene forces defend the country. About 100 people killed. The EU brokers a ceasefire. The Yugoslav army withdraws. Croatian Serbs in the east of the country expel Croats with the aid of the Yugoslav army. By the end of the year, nearly one-third of Croatian territory is under Serb control. Bosnia-Hercegovina breaks away from Yugoslavia as well, but internal ethnic tensions lead to partition. 1992 – Montenegro and Serbia form Federal Republic of Yugoslavia. Nationalist rhetoric stokes the fire of ethnic violence. Bosnia-Hercegovina officially breaks away from Yugoslavia. 2006– Montenegro and Serbia split from one another. 2008– Kosovo (an autonomous province of Serbia) splits from Serbia and is recognized as independent. Josip Broz Tito– In many ways, Tito was the glue that held socialist Yugoslavia together from 1945 until his death in 1980. Viewed as a major unifying symbol, he managed to maintain a peaceful coexistence among the ethnicities of Yugoslavia and also presided over an economic boom in the 1960’s and 70’s. Despite being a founding member of the international communist movement, he is notable for being the only Eastern bloc leader to successfully defy Soviet hegemony and pursue a differing course. He was a founding member of the non-aligned movement along with Nehru of India, Nasser of Egypt, and Sukarno of Indonesia. His death would mark the beginnings of the unravelling of Yugoslav unity. Franjo Tudjman– Sometimes considered the father of an independent Croatia, Tudjman began his career in the Yugoslav resistance during World War II. He would not rise to social and political prominence until 1989, when he founded the Croatian Democratic Union, a nationalist political party. Elected President of Croatia in 1990, he would steer Croatia to political independence from Yugoslavia. He would be twice reelected and serve until his death in 1999. In 2013, an international court would find his responsible for the attempt to partition Bosnia-Hercegovina and crimes against the non-Croat citizens of that same nation. Slobodan Milosevic– The President of the Federal Republic of Yugoslavia and the Republic of Serbia, Milosevic’s administration was marked by the Yugoslav wars as well as the disintegration of Yugoslavia. He would resign his presidency in 2000 and be arrested and taken to trial at the International Criminal Court on charges of war crimes. He would die in prison and the trial would end without a verdict in 2006. He was found guilty by another court of refusing to intervene in the Bosnian genocide and for not cooperating with the International Criminal Tribunal for the former Yugoslavia. Jože Pučnik– One of Tito’s most outspoken critics, Pučnik is a Slovene sociologist and politician. After prison and exile, he would return in the late 1980’s and lead the Democratic Opposition of Slovenia, which would defeat the communists in the first free elections. He is considered one of the fathers of Slovenian independence. Vida Ognjenović– Vida is a well-known playwright, director, and diplomat from Serbia. As a founder of the Democratic Party in 1989, she was responsible for the creation of one of Serbia’s first opposition parties. She would serve as Serbia’s ambassador to Norway in 2001 and currently serves as the ambassador to Denmark. 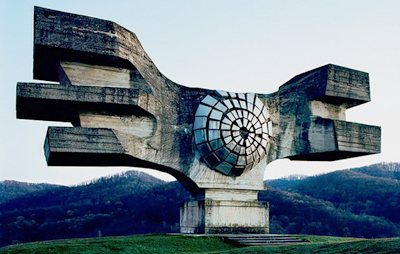 The fading of Communism in the former Yugoslavia, though artistically influenced, was largely an expression of nationalist fervor and ideas of self-determination. Without the unifying figure of Tito, the Republics began to assert themselves, and the dissolution of the USSR eliminated a major needs for Yugoslav unity. Though there were artists involved (such as Vida Ognjenović), it was primarily a political movement fueled by nationalism. During the siege of Sarajevo, cellist Vedran Smailović was known for continuing his playing amid the ruined buildings. This would provide inspiration for numerous Western artists such as Yo Yo Ma and the Trans Siberian Orchestra. The breakup of Yugoslavia resulted in large amounts of ethnic conflict as national identities began to reassert themselves. Though some Republics (Slovenia and Macedonia) were largely peaceable, others (Croatia, Serbia, Bosnia-Hercegovina) were marked by extensive ethnic violence. Croatia– with the declaration of independence, Serb minorities rose up and declared their intention to break away from Croatia and join Serbia, sparking violence between ethnic militias. When the Yugoslav army intervened, on the side of the ethnic Serbs, the resulting war devastated Croatia. Serbia– Ethnic Albanians and Croats established an autonomous province in Kosovo, which proceeded to break away from Serbia. Extensive violence resulted throughout the Republic of Serbia. Bosnia-Hercegovina– As Yugoslavia unravelled, Bosnia became caught in the middle of ethnic strife. Breaking into three along ethnic lines (Croats, Serbs, and Bosniaks), attempts were made to partition the Republic between Croatia and Serbia. The war would kill hundreds of thousands of people and displace over another million. It would also mark the first occurrence of genocide in Europe since World Ward II. The former Yugoslav Republics have each experienced varying levels of recovery and reintegration with the rest of the world. Slovenia has recovered fully and is a NATO and EU member, boasting a stronger economy that some Western European nations. Croatia has also joined NATO and the EU. Macedonia is considered an important partner, and is a candidate for membership, but various insurgencies have limited growth and conflict with Greece over rights to the name Macedonia has inhibited integration. Bosnia continues to recover and Serbia still experiences difficulty, having just lost a province (Kosovo) as a breakaway nation.